82% of Atalanta’s conceded goals were conceded away in Serie A. 69% of Napoli’s matches had over 2.5 goals scored in Serie A.
Atalanta have scored 2 goals or more in each of their last 5 matches in Serie A.
Napoli have scored 35% of their goals after the 75th minute in Serie A.
Napoli have scored in 83% of their away matches in Serie A.
Levante conceded at least 1 goal in 83% of their home matches in La Liga. Athletic Bilbao have scored in 83% of their away matches in La Liga. 69% of Levante’s matches had over 2.5 goals scored in La Liga. 62% of Athletic Bilbao’s matches ended up in a draw in La Liga. Levante have scored in each of their last 9 matches in La Liga. 35% of Athletic Bilbao’s conceded goals occurred after the 75th minute in La Liga. 77% of FC Nürnberg’s goals have been scored in the second half in Bundesliga. FC Nürnberg have conceded 2 goals or more in each of their last 3 matches in Bundesliga. FC Nürnberg have scored 54% of their goals after the 75th minute in Bundesliga. Rio Ave have scored in each of their last 9 matches in Primeira Liga. Sporting CP have scored 2 goals or more in each of their last 5 matches in Primeira Liga. 80% of Sporting CP’s conceded goals were conceded away in Primeira Liga. 40% of Sporting CP’s conceded goals occurred after the 75th minute in Primeira Liga. 77% of Velez Sarsfield’s matches had under 2.5 goals in Primera Division (Argentina). 69% of Rosario’s matches had under 2.5 goals in Primera Division (Argentina). Tigre conceded at least 1 goal in 83% of their home matches in Primera Division (Argentina). 78% of Godoy Cruz’s conceded goals were conceded away in Primera Division (Argentina). Velez Sarsfield did not concede any goal in their last 5 home matches in Primera Division (Argentina). Godoy Cruz have scored 58% of their goals after the 75th minute in Primera Division (Argentina). Velez Sarsfield did not concede any goal in 86% of their home matches in Primera Division (Argentina). 81% of Velez Sarsfield’s points have been earned at home in Primera Division (Argentina). AGF Aarhus have conceded 2 goals or more in each of their last 4 home matches in Superligaen. Vejle BK conceded at least 1 goal in each of their last 7 matches in Superligaen. AGF Aarhus have lost their last 4 matches in Superligaen. AGF Aarhus have failed to win in their last 7 matches in Superligaen. Vejle BK have failed to win in their last 8 away matches in Superligaen. AGF Aarhus conceded at least 1 goal in each of their last 6 home matches in Superligaen. AGF Aarhus have conceded 2 goals or more in each of their last 6 matches in Superligaen. Brentford conceded at least 1 goal in 100% of their away matches in Championship. West Bromwich conceded at least 1 goal in each of their last 10 matches in Championship. Brentford have failed to win in their last 9 away matches in Championship. Brentford have conceded 2 goals or more in each of their last 3 matches in Championship. West Bromwich conceded at least 1 goal in 89% of their home matches in Championship. 71% of West Bromwich’s goals have been scored in the second half in Championship. Brentford have scored in 78% of their away matches in Championship. West Bromwich have scored 2 goals or more in each of their last 3 matches in Championship. Foggia have drawn their last 4 matches in Serie B. 67% of Foggia’s matches had over 2.5 goals scored in Serie B.
Foggia conceded at least 1 goal in each of their last 6 home matches in Serie B. 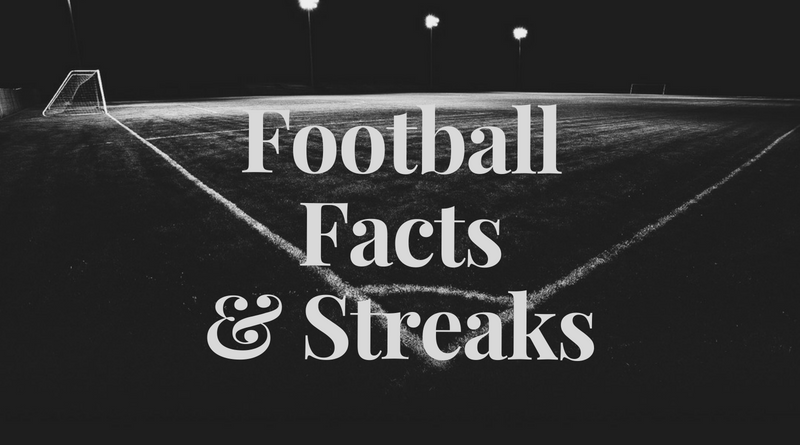 67% of Venezia’s matches had under 2.5 goals in Serie B.
Foggia have scored 2 goals or more in each of their last 4 home matches in Serie B.
Foggia have conceded 2 goals or more in each of their last 3 home matches in Serie B.